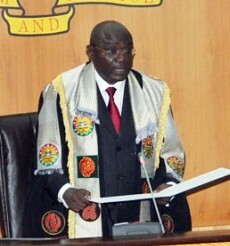 Speaker of Parliament, Rt. Hon. Edward Doe Adjaho has expressed worry about the public’s continuous uncomplimentary remarks about Members of Parliament (MP) and the legislature. He has therefore urged the law makers to critically assess themselves and turn a new leaf, especially, with regards to how they interact with their constituents and other people in the society. He made this observation when he welcomed Members to the House this afternoon after almost three months break from in-house work. The legislature has in recent times come under scrutiny with a cross-section of the public making allegations of misconduct against its Members. Some have even gone beyond to level allegations of corruption against the legislature. 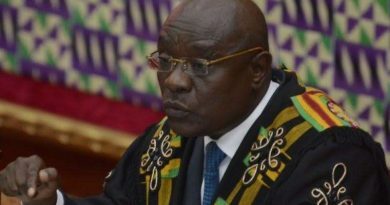 A fortnight ago, former Rector of the Ghana Institute of Management and Public Administration (GIMPA), Prof. Stephen Adai made a startling revelation alleging that MPs take bribes and solicit same for their girlfriends. “Now if you want Parliament to pass anything else, not only do you go to the committee and bribe them …but after they have gotten their share, they ask you where is our laptops in other words you have not made provision for their girlfriends,” he was quoted as saying by myjoyonline.com. But the Speaker commenting further urged the members to be circumspect about the way the conduct themselves in public since anything contrary to a good behavior affects the dignity of the House. Mr. Adjaho announced to Members that the House’s Code of Conduct and Standing Orders have undergone review and would soon be laid on the floor for consideration and adoption. He also announced the establishment of a Scrutiny Office, an independent body that will assist the House in the performance of its functions. That aside, he said the Parliamentary Service Board has also approved the establishment of a Parliamentary Training Institute that will help upgrade the knowledge levels of members of the legislature as far as parliamentary democracy is concerned.